We are looking for one or more creative writing tutors to deliver group courses in creative writing to primary school-aged children. – You must have at least 1-3 years experience of teaching creative writing to children of primary school age in group settings either in a supportive or a coaching role. – You will have a post-graduate degree in English, Creative Writing. – You are an expert wordsmith with a firm grasp of all areas of creative writing, including plotting, story-boarding, character creation and the effective use of literary devices. – You bring a passion for working with children and young adults, a friendly personality, excellent communication skills and a professional demeanour which you will exercise with children, parents and staff. – Ideally you have already worked with children with special educational needs. – You will lead young learners through the crucial aspects of structure, content, language, style, punctuation, spelling and grammar and self-editing and you will be able to promote and guide a lively and constructive peer-to-peer feedback. – You will ensure that while guiding the learning, the workshops are as open and interactive as possible, thereby allowing children to explore their own interests and experiences as a basis for creating compelling stories. 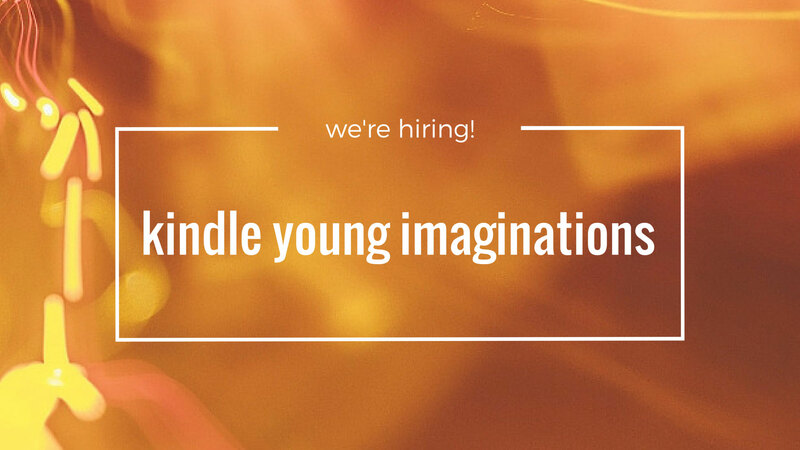 – You will work closely with the Programme Leader and the Chelsea Young Writers Advisory Board, in the designing and delivering courses which seek to draw out children’s innate creative streak, allowing them to acquire the art of full and elegant expression on the page. – You will also be involved in preparing a variety of teaching materials, maintaining good relationship with parents and you will be an impeccable company ambassador at all times. Hours are variable and cover weekday afternoons and Saturday mornings. Please note that you must either currently have, or be prepared to undergo, an enhanced DBS check with a check of the barred lists. We are looking to hire one or more Saturday Club Supervisors (non-teaching position) for our local branches in London, with a view to start in September 2017. Classes run on Saturday mornings 09:00–13:00 and afternoons 13:00–15:00. This is a self-employed, part time position which will suit someone who is looking for a flexible role to fit around their schedule. If you love working with children, have good management skills and are passionate about educational development this would be an excellent opportunity for you! Ideally you have previous experience as facilitator/ teaching assistant working with children of primary school age either in a supportive or a coaching role. You can work under pressure in a busy environment and perform well at multitasking. You will bring a passion for working with children, a friendly personality, as well as excellent communication, time management and leadership skills. Please note that you must either currently have, or be prepared to undergo a full DBS (formerly CRB) check. Successful experience of working with 6 to 12-year-olds. Highly organised with superb communication skills and command of English and an enthusiastic approach to the role. Excellent at time management and attentive to details. Hands-on attitude and ability to work on own initiative, using judgement and common sense. Flexible, team player attitude willing to take on various tasks as required. Ideally, hold a First Aid Certificate. Reporting to Head Office management, the role of the Saturday Club Supervisor is to manage and support all staff, resources and processes to ensure the smooth running of the Saturday branch and its programmes. Arrive in advance of the sessions to prepare activities and setting up the class by laying out or distributing appropriate resources. Sign-in/sign-out of students. Record details of all children attending the sessions and note any absences according to the documented operating procedures. Liaise with parents in person and by phone about the children’s attendance, arrival or departure. Actively supervise a group of up to 12 children aged 6-12 inside or outside the classroom, and assist the course leader when required. Ensure the programme runs as scheduled with the support of the Head Office, and be prompt in sending operative feedback and start/end of session reports to management. Implement all Chelsea Young Writers policies and procedures, according to the documented standards, guidelines and policies. Ensure the discipline is in place at all times and children’s behaviour is appropriate and that they are cared for in a happy, safe and stimulating environment. Liaise with school contacts and venues for the smooth operation of the Saturday club. Be responsible for safe keeping of all resources, teaching material and equipment for sessions. Work in partnership with the parents, staff and children, maintaining friendly and professional manners at all times. Ensure risk assessments and emergency drills are undertaken where necessary. Be available by phone at all times during the club’s operations for calls from management, instructors, parents or staff. Undertake any additional administrative tasks or equipment duties when needed. Attend team meetings in person or online with management. Familiarity with technology and digital marketing.